During the time left for us in Pardubice, I’m still trying to add more info to my Pardubice Directory – who knows, it might come in handy for other expats looking to relocating here with their family. Today, I will tell you about Apolenka – it’s a mini zoo for kids, as well as a horse rehabilitation centre for people with disabilities and elderly. My girls love Apolenka as it gives you the benefits of being in a countryside, somewhere on a farm, while it’s just outside Pardubice. It is even possible to get there by a usual city bus route. Otherwise, it’s just a short ride by car. Farm animals and birds, some lamas and parrots, lots of cats, fish and turtles in a pond – what else does a child need? Oh, there’s also a large playground for them to release any remaining energy after walking around the Apolenka grounds. It’s also possible to buy fresh milk and diary products from the farm. Find out more information, address and contact details of Apolenka on their website. 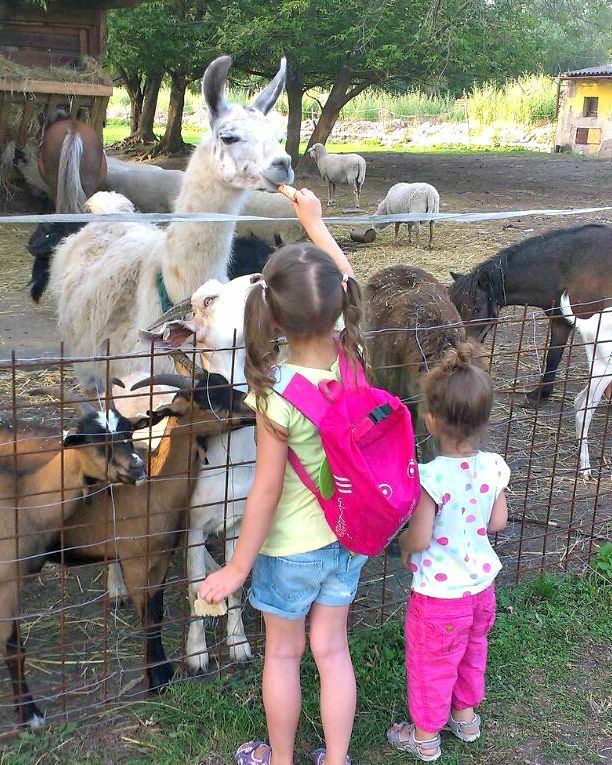 Don’t forget there’s a great farm for kids about a 20 minutes drive from Pardubice, in Liciborice village. Read more about it here. On the opposite side of the village, there’s also a horse farm, where your kids can try some horse riding. Next Show Your Word – round up 12: New Zealand, Norway, South Africa, Switzerland, Australia and China!